Locks and Lips ARE YOU A VENDOR? 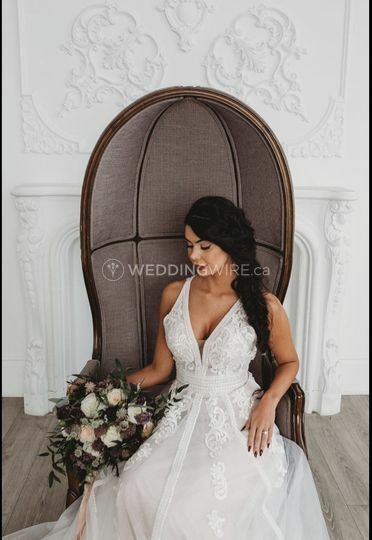 Locks and Lips is a business located in Oshawa, ON that specializes in wedding and special event makeup and hair styling. 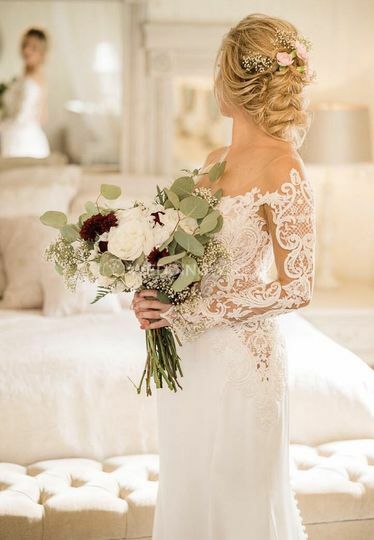 Published in Hitched magazine's Winter 2018 edition, they boast years of experience, and can offer a range of services. Whether it is makeup or just hairstyling, they will attend to your every demand. Locks and Lips provides studio and mobile services and serves at any preferred location or venue. 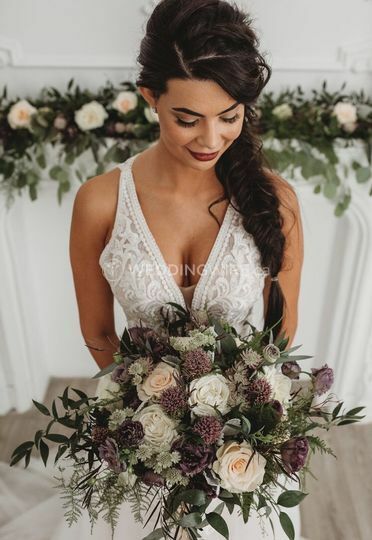 Locks and Lips has a great team, experienced and friendly, who understands the stress and challenges of wedding planning. 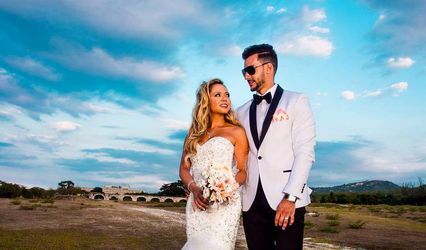 They will provide enjoyable, personalized and high-quality services, for the bride and wedding party. Packages for bridal makeup and hairstyling are available. 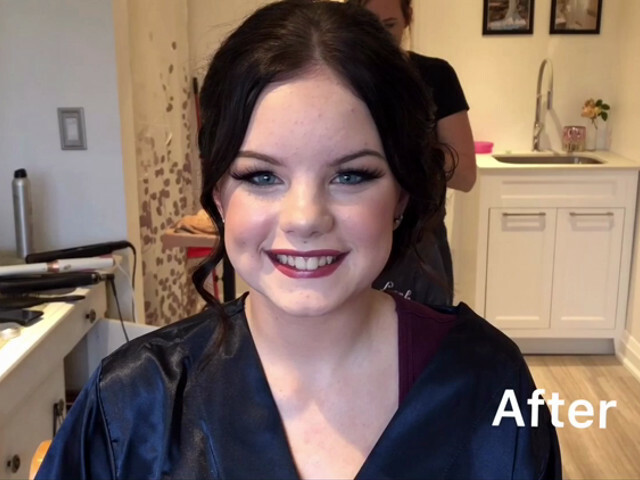 The makeup services offered include consultations, trials, mothers and grandmothers of the Bride and Groom makeup, junior bridesmaid makeup, and additional services include false eyelashes, airbrush foundation. 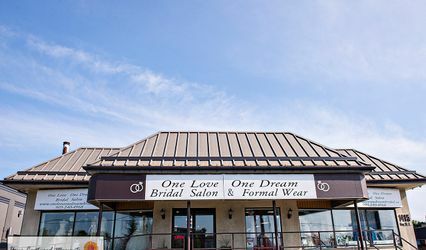 Hair styling services feature bridal party trial, engagement hairstyling, round brush blow dry, flower girls styling, extensions, bachelorette party styling. Additional services like hair padding are available. From the very beginning, Erin was just wonderful to work with. 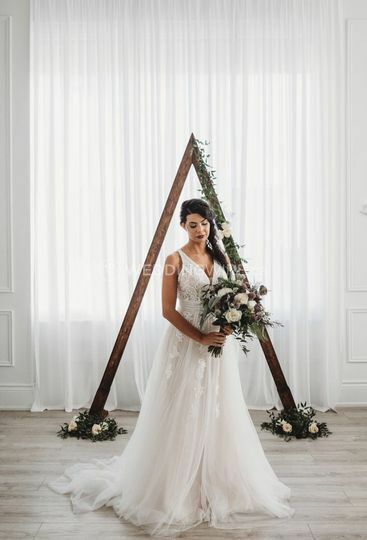 She was very responsive and open to my consistent communications lol We went through multiple different styles back and forth and she helped me pick the best one for what I was looking for. 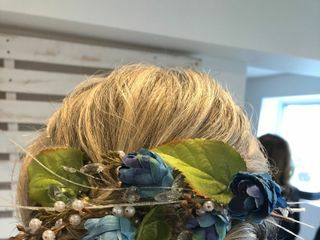 She also connected directly with my mum and bridesmaids to work out hair styles and trials. After our trial, we made an adjustment but didn't have the opportunity to re-do with the new style. But I had complete faith that Erin would be able to produce - and boy did she ever!! Everyone kept saying I looked like a princess, and it was in no doubt in part to Erin's beautiful job on my hair. Not only did she make me look stunning, but my entire entourage looked absolutely stunning. Erin was incredibly flexible to work with; we had a last minute addition that we didn't account for. Erin happily accommodated without hesitation and just adjusted our start time. Boom, like it was nothing. And even though the earlier timing had me flinching, Erin arrived bright eyed and bushy tailed ready to beautify my team! She was genuinely excited for me and my wedding day; it means a lot that she made me feel like a friend, and not just dollar signs. And speaking of dollar signs, her prices are very reasonable. 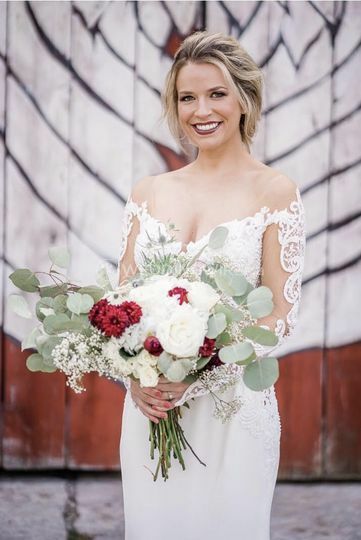 5 stars all around - thanks so much for making my wedding day so incredible!! Laura from Locks and Lips did my make-up for me as i was the Best Man in my best friends wedding. She traveled to me to do my make up - about an hour drive for her and she brought her own chair. We ended up setting up outside because the sun and natural light was perfect. Pricing for full glam make-up, lashes and travel was very reasonable and comparable. The quality however was outstanding. 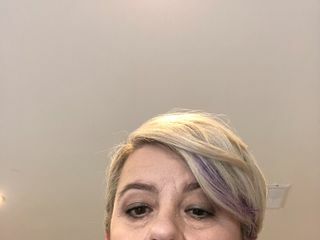 I have smaller eyes and a rounder face, in the past i have had displeasing results with other make up artist's who seem to use the same techniques on all faces but Laura really tailored her techniques to flatter my features. The process was quicker than i anticipated, and she smelled great (no one likes coffee breath and b.o in their face when stuck in a chair). I also felt light all day and night as opposed to feeling like i have a million layers caked on my face. I did not suffer a single smudge all night, defying tears and sloppy dancing/hugs throughout the night. I highly recommend Lock'n'Lips for any occasion, you will not be disappointed! 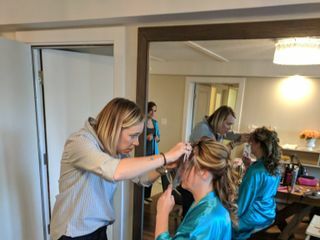 Laura and Erin did an amazing job with hair and make up for my bridal party and the moms of the bride and groom. They worked really well as a team to keep us on time and everyone looked amazing! I'm very happy I chose them. Thank you Natasha! We had the best time getting you and your ladies ready. You have some incredible ladies in your life and it was a pleasure getting to know you all. Cheers to you and your husband. Laura was recommended to me for my wedding by a family member after I had a horrible trial experience with the place I'd originally booked. Laura made me feel so comfortable and really listened to what I wanted, something natural and to look like me. 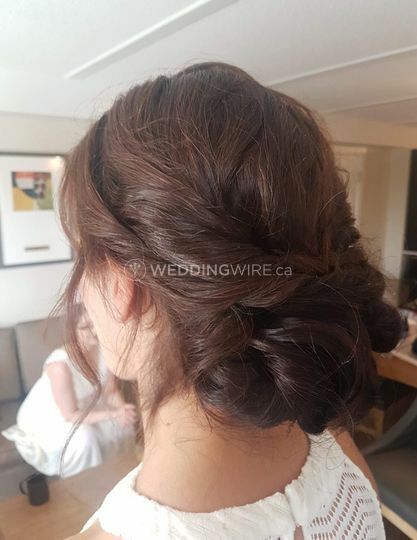 Laura then recommended Erin and my hair trial with her was just as good! 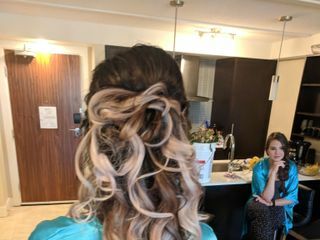 I told her no "prom" hair, make it look like I've slept on it for days - and she totally delivered! They both travelled to me on my wedding day and we had so much fun together! 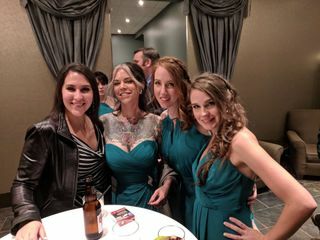 I even made a tiny change to both my hair and makeup the day of, and both Laura and Erin knocked it out of the park. I couldn't have asked for more. 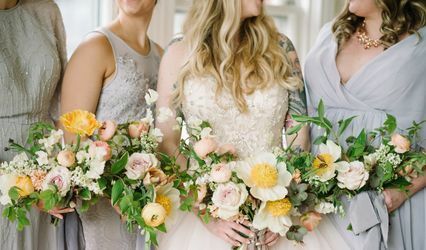 Finding a hairstylist and makeup artist to make you look exactly how you envision on your wedding day is nerve-wracking, and I promise you'll have nothing to worry about with these two. So glad they have officially teamed up together! 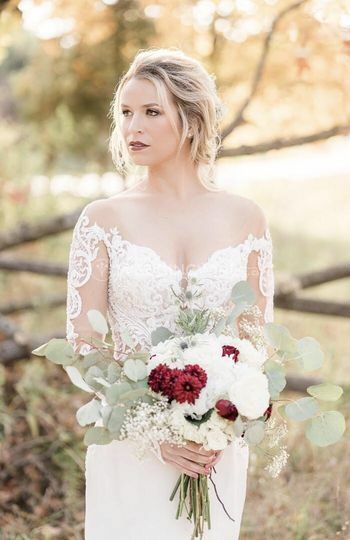 Highly, highly, highly recommend Locks and Lips for your big day!